When we consider drinking glasses, atypical images automatically pop into our heads: the imperial pint glass for beer, a wide-brimmed wine glass for a red and a martini glass for a cocktail. Although these glasses suit certain styles of alcohol, there are countless more styles available that suit specific drinks. The reason for this is simple — different types of alcohol exhibit different aromas and aromatics, and different glasses facilitate these aromas being smelled properly. There’s a reason that wine isn’t poured into a pint glass; with its considerable depth and reserved brim, it makes it that much more difficult to detect the wine’s unique aromas. It makes sense, then, that glasses have been developed to correspond to different alcohols, thereby ensuring they are enjoyed in the greatest manner possible. Listed here are a few alcohols and some of the glasses that can help you enjoy them that little bit more. You’ll notice the bartenders at your local pub tend to splash all their wine into the same kind of glass, no matter the style or quality of the wine. For wine connoisseurs, this is a cardinal sin — and it should be for you, too. Wine glasses are shaped according to the wine they hold; red wine glasses have a larger bowl and are slightly taller than their white wine counterparts in order to better demonstrate the bigger and bolder aromas typically found in reds. Although drinking from beer bottles is popular due to the obvious convenience, drinking beer from a glass is the only way to go. Being able to better detect the aromas from beer allows the drinker to better taste the beer itself — after all, much of our sense of taste comes from smell! Beer glasses are designed depending on the style, and allow for those particular styles to best exhibit their aromas. Tulip glasses are suited for the heavier, more complex beer styles, while pilsner glasses are designed for the effervescent pilsner. Dozens of styles exist in between, so make sure to do your research to better enjoy your brew! The variety of glasses used for spirits can boggle the mind. Each spirit has a style of glass that best demonstrates the properties of the spirit, and then each cocktail usually has its own glass to best demonstrate the combination of alcohols. Spirits are usually relegated to tumbler style glasses, while fortified alcohols are best suited to cognac-style glasses. Cocktails usually have highly stylised glasses that are often as elaborate as the contents inside. 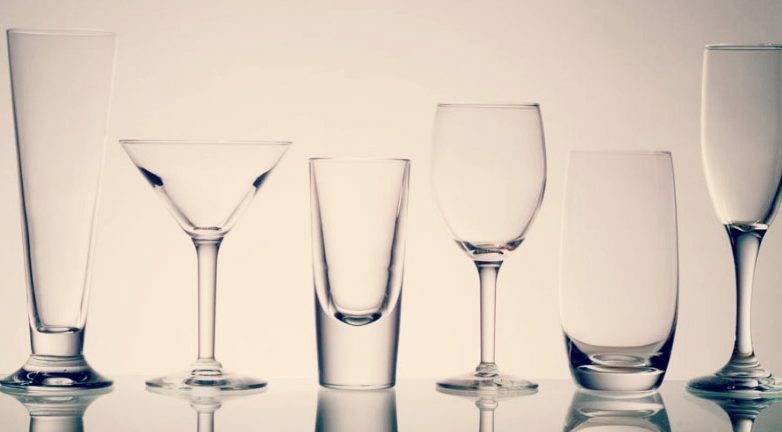 If you’d like to emphasise your drinking enjoyment, the first step is to get the right glass. Make sure to browse the JM Style pages for beer, wine, and spirit glasses, and find the right glass for your favourite alcohol.